SWAT Security can provide 24-hour alarm monitoring for all types of security systems through our NSI Gold approved alarm receiving centre (ARC). 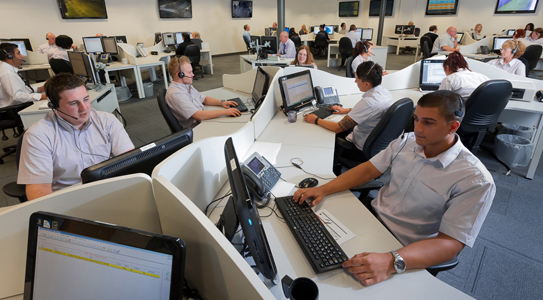 Our 24 hour customer support staff are all UK based and available 365 days a year should you need them or should your alarm system activate offering you complete peace of mind that your property and possessions are being protected while you are away. The ARC is completely self-contained. All of the facilities are resistant to both physical attack and power failures, and in the extremely unlikely event of main system failure, we are still able to provide a continuous, uninterrupted back up service. Our alarm receiving centre has been awarded NSI Gold for intruder and fire systems and are accredited to ISO9001-2008, it was also one of the first alarm receiving centres to be accredited to BS8418 for CCTV monitoring. In addition the ARC gained approval for monitoring LPS1020 fire systems in December 2007. We can provide all the leading types of monitoring to suit your requirements and budget. BT Redcare is a long standing monitoring solution with the following key features. It does not require an external phone line. Active continuous 2-way monitoring 24 hours a day 365 days a year! Will inform the ARC if the phone line has been cut. By using the GSM version the monitoring will continue even if the phone line is cut. design team will be able to advise you of the best solution for you. Redcare secure benefits from being a ‘dual pack’ system, which means that 2 separate routes are used to signal the alarms to the ARC. This means that in the event of one part being faulty or unavailable the message will still get sent over the other part. Secure 2 and 3 service a wireless network link as the ‘primary path’ with the back up (secondary path) being provided by the fitted phone line. Secure IP uses the primary path as your broadband connection with the back up being via the secondary path which is via the wireless network link. Dualcom monitoring provides continual monitoring of a protected premises on any standard telephone line. Alarm signals are transmitted via mobile, GSM or GPRS. Dualcom monitor the communication between the alarm system and ARC and will notify the ARC in the event of the line been cut. Emizon IP delivers secure, fully managed dual path alarm monitoring for intruder and fire systems for both domestic and commercial applications. Emizon utilise broadband and GPRS or GSM and PSTN for sites without broadband and are available in grades 2, 3 and 4. Just because you have a fire alarm installed it doesn’t mean you are fully protected. 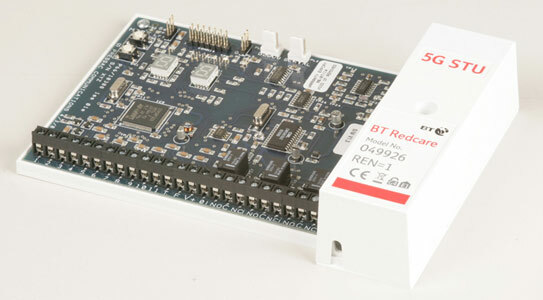 Redcare Fire Alarm signalling is connected to an alarm receiving centre via a BT phone line. If your fire alarm is triggered through accident or a fire situation, the ARC is alerted within seconds and summons the emergency services in seconds. Redcare fire monitors the property every second of the day by actively checking that your phone line is working, giving you total peace of mind. Monitoring from as little as £81+vat per year we can remotely monitor your security systems! Contact us now on 01757 700773 for more details or a free quote.